The futuristic parking system is going popular these day, we are introducing our new multi car parking adventure game in Multi Storey Modern Car Parking. This free parking game simulates the new modern car parking adventures, you have to avoid from bumping with the barriers, road cones, and from the roadblocks. Unlike the car parking games and car driving games here, you have to park the luxury sports car in a massive multi story building. Enjoy the most challenging Multi Storey Modern Car Parking game that is the best car parking game especially designed for the car parking games lovers and for those who face problem while parking the car in actual life. 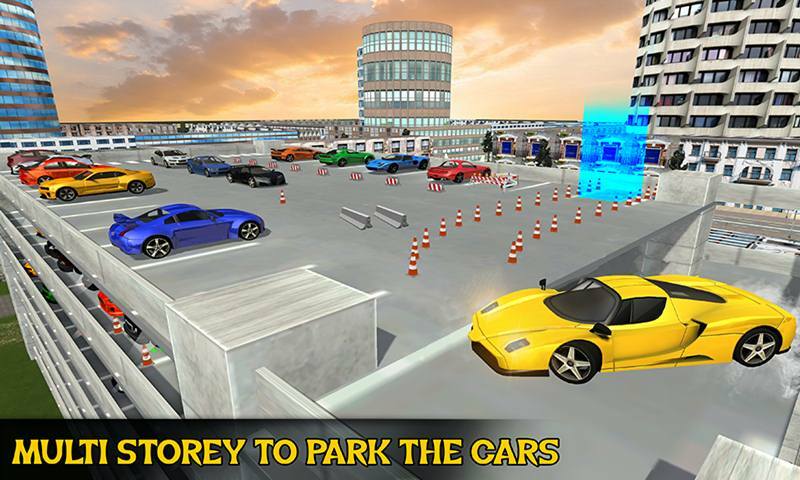 After completing the exciting level of this simulator, you will be the master of car parking. Follow the direction arrow and park your vehicle in a huge building without hitting with the barriers and hurdles. You will enjoy the new physics of 3D modern car parking mania that can difficult for the expertise. 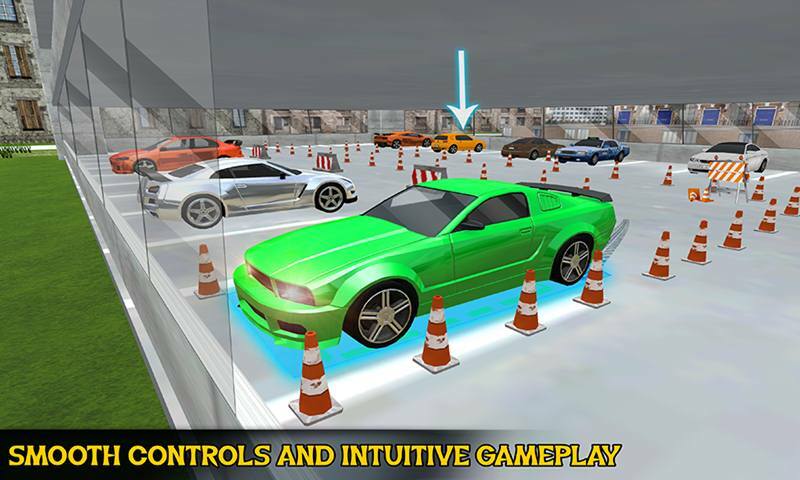 Multi Storey Modern Car Parking simulation contains the most incredible and fabulous missions for you to play. Just choose your favorite multi sports car and drive like a master driver. Hold the controls on accelerate and on the handbrake too, do not bump with the barriers, road cones and with the hindrance otherwise your pretty sports vehicle will be destroy. Drive your sports car in the grand city and park it into a well-positioned parking area in a skyscraper building. The multi-story building contains the bulk parking positions in each portion and you have to park the vehicle on specified location. You are allowed to hit your car with obstacles two times after the third time bumping with the hindrance cause blast of your sports car. The first level of the game is easy gradually each tasks become hard. 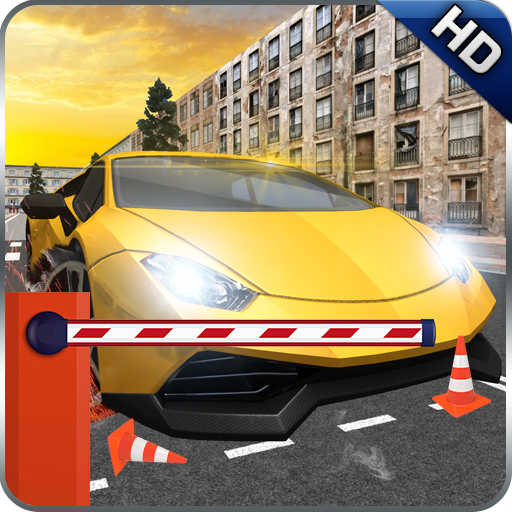 Parking the expensive car at the top of the floor also avoiding from the hurdles made this game addictive. Do not let your amazing car to fell down from the building, if this happen you will fail the mission. In some missions, you have to drive the sports car in the multi parking area and on the city roads too. 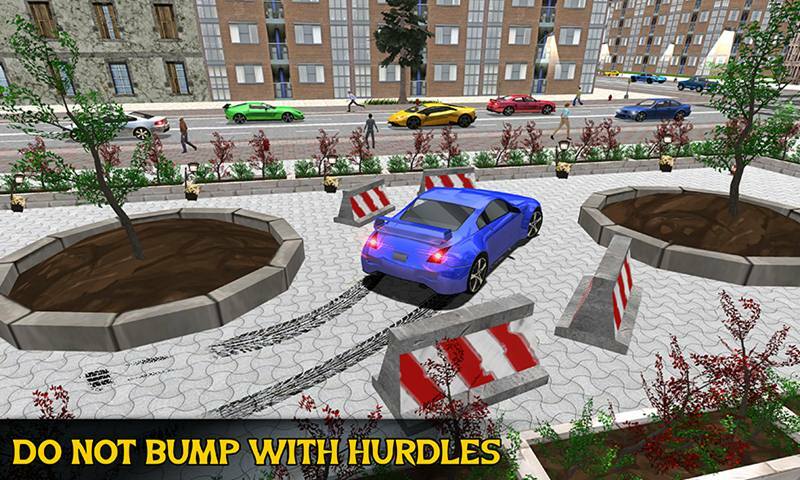 Easily unlock the other sports vehicle in this Multi Storey Modern Car Parking simulation. You will love to experience the realistic driving in this 3D environment of the parking area and the city. 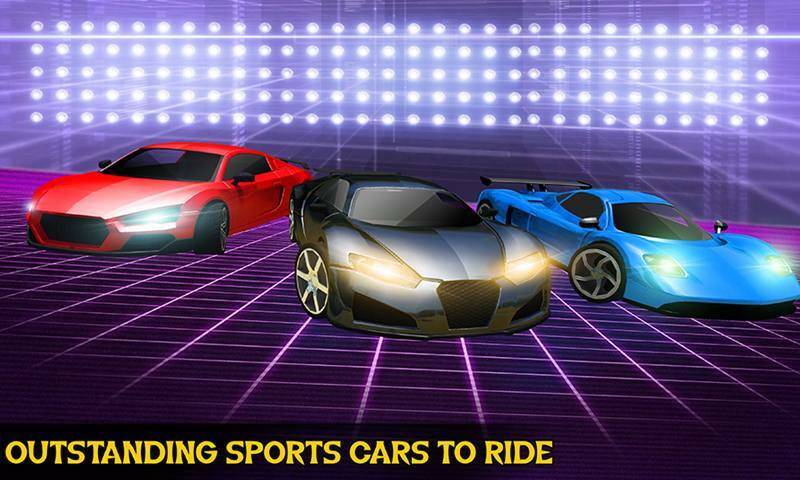 • Choose your incredible sports car to play. • Multi storey parking building to park the car. 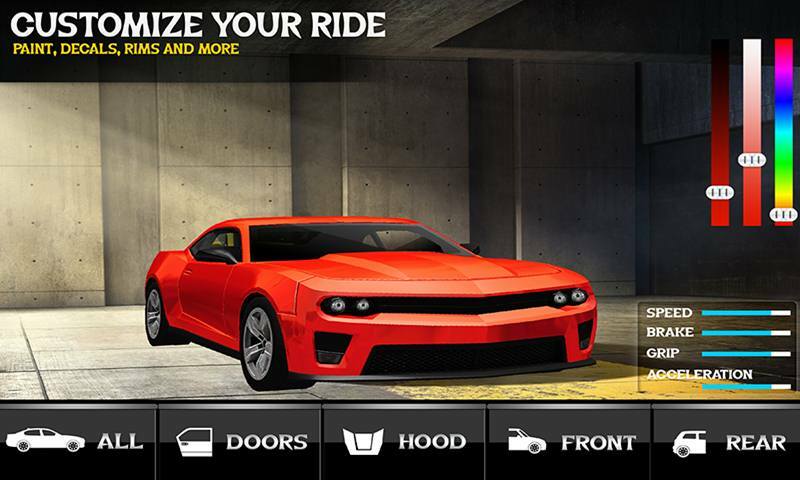 • Customize your sports car. • Easily unlock the multi sports cars. • Beautiful 3D city Environment. • Park the car without bumping with other vehicles. • Futuristic and intuitive game play. • HD graphics and cool sounds effects. 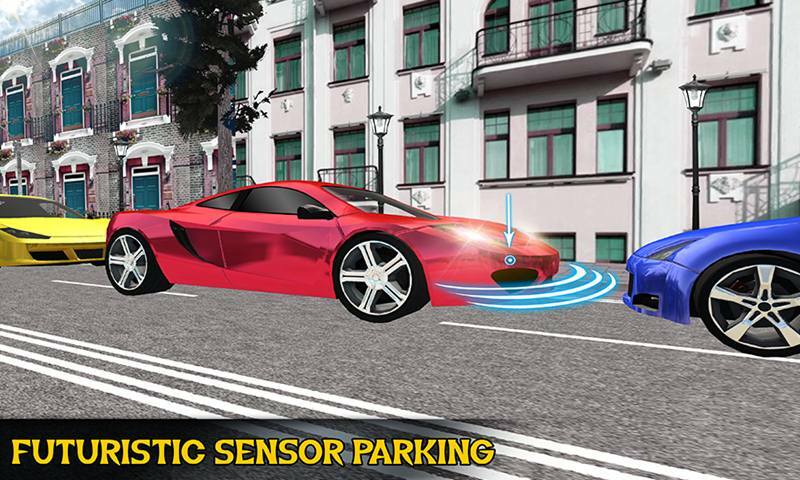 Get ready for this futuristic parking adventure in Multi Storey Modern Car Parking simulation where you are going to park the expensive sports car into a stunning multi story building. Drive like the master driver avoid from hitting with the obstacles to park well in the parking area also do not forget to use handbrake after parking. Just grab the Multi Storey Modern Car Parking simulation and become the master of car parking into difficult areas.